Letter sent to MSD chief and board members; petition launched. Smoketown’s efforts to advocate for a change in the basin design of the Logan CSO Interceptor Project took major steps forward last week. For the Smoketown community, this is a crucial issue of environmental, racial, and economic justice. At stake is whether the community will be blighted by a structure covering a city block built by the Metropolitan Sewer District (MSD) or whether MSD will bury its facility and provide much-needed green space to the Smoketown community above its facility. The Logan CSO Interceptor is one of a dozen basins MSD is constructing around Louisville to capture Combined Sewer Overflows (CSOs) during heavy rain events. These basins are part of MSD’s effort to comply with a consent decree it entered into with the EPA to reduce pollution of the Ohio River. At every other site where it is environmentally feasible to bury the basin below ground, MSD is doing just that. However, MSD designed the Smoketown basin first, and—by its own admission—failed to do the outreach necessary to get community input and engagement in Smoketown. It designed the Smoketown facility as a block-long, windowless brick structure. 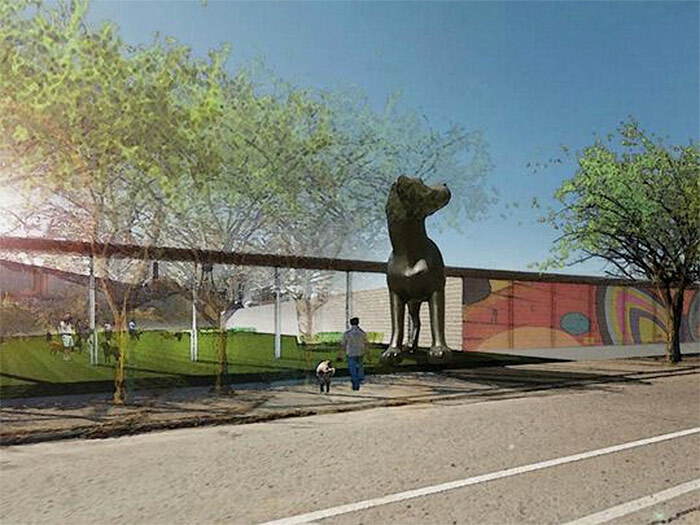 This, instead of the green space being provided to other neighborhoods above the CSO facilities. For more information on the history of the project and the design, you can read the Smoketown community’s letter to MSD it delivered last week, copied in full below. Above: Renderings from MSD’s redesign meeting. View the full report here. 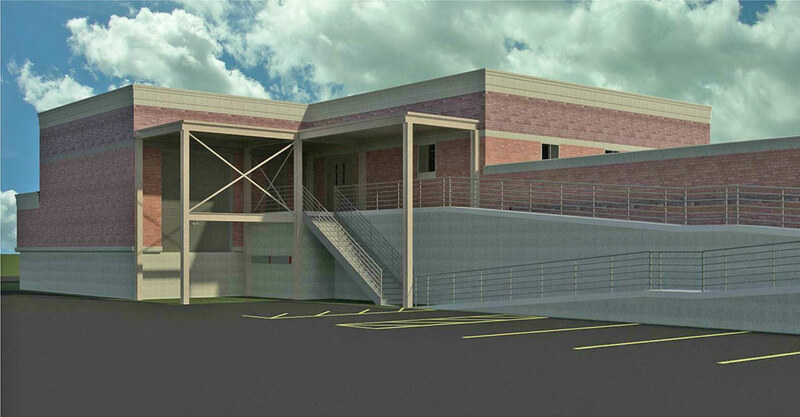 MSD scheduled a meeting last Wednesday to design the facade of the block-long building. At that meeting, Rev. Bruce Williams of Bates Memorial Baptist Church spoke for ten minutes about the history of the project and why he would refuse to participate in the design of the facade. Above: Broken Sidewalk spoke with residents about the CSO Basin and blasting that is causing problems in the neighborhood. Read the full story here. Come to the community meeting on Wednesday, March 23 at 6:00p.m. at Bates Memorial Baptist Church, 620 East Lampton Street. Like the Smoketown Voice Facebook Page. While for MSD the Logan CSO Interceptor Project may only be one step in complying with the Consent Decree it entered into with the Environmental Protection Agency, for us, this is an issue of environmental justice, of racial justice, and economic justice. You plan to build a windowless, block-long building in our community while planning to build underground structures in other communities around Louisville in which it is environmentally feasible and to provide those communities with much-needed green space above the structure. At a community meeting on November 16 at Coke Memorial Baptist Church, Smoketown residents, businesspeople, and allies gathered to hear from MSD’s Executive Director Tony Parrott. Mr. Parrott, responding to the dissatisfaction from Smoketown residents, admitted that the Logan project “did not have a good rollout” and lacked “community engagement”. The Logan CSO Interceptor was the the first of the twelve CSO structures to be designed and built, Mr. Parrott explained, and he apologized for not developing good partnerships with Louisville Metro and for failing to get community input at the outset on the design of the building. During the course of the meeting, we learned that after receiving input from other neighborhoods on their CSO Interceptor projects, MSD decided to bury each of the other 11 structures at grade1. It was clear from the comments made by neighbors at the Smoketown meeting that an at-grade structure was their preferred design, as well. MSD had studied the possibility of doing this for the Logan CSO Interceptor project and determined that burying the facility at grade would have cost an additional $4,000,000. On January 28, 2016, community members met with De Leon & Primmer, the architects hired by MSD to revise MSD’s plans for the Logan CSO Project. The overwhelming consensus at that meeting (like at the November 2015 meeting) was that the community was not interested in having an above-grade building on the site. 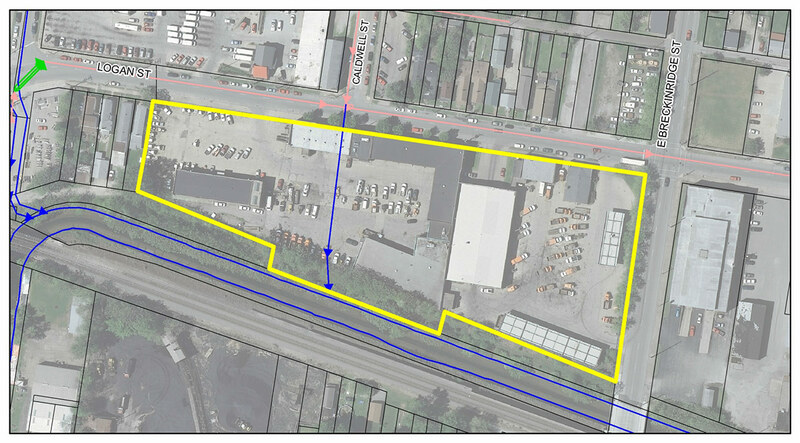 Instead, we submitted to MSD several visions for the green space above an at- grade facility. Will changing the design of the Logan CSO cost more money? Yes it will. From our perspective, this is a problem for MSD to solve, not the Smoketown community. Will changing the design require more workers and potentially increase the duration of the project? Almost certainly. This, again, is on MSD. MSD has already admitted that it did not do the proper community outreach and engagement in the Smoketown neighborhood when it designed this basin. MSD has admitted its process was flawed. That flawed process led to MSD to decide— without community input—to save $4,000,000 on the Logan CSO Interceptor. After it got input from other communities, it learned that its decision at the Logan site was wrong and invested in more expensive projects in the 11 other neighborhoods. Yet, MSD has not returned to Smoketown to fix its $4,000,000 mistake. This is not our preferred path. We would prefer to work in concert with MSD and create a win‐win outcome for our neighborhood and MSD. Please call Bates Memorial Baptist Church (502-636-0523) and let us know if we can expect you at our community meeting next Wednesday. We look forward to welcoming you then and working with you during this redesign process. 1 The only other CSO being built above-grade is the Butchertown CSO. It is our understanding that because of the Butchertown site, it is not environmentally feasible to bury the facility below grade. We know that these environmental limitations do not exist at the Smoketown site because MSD has admitted to reviewing and rejecting proposals for an at-grade facility at Smoketown based on the additional $4,000,000 cost projections. I’d say it was closer to 125 people that walked out. True, Mark, but any additional costs to make this basin a more reasonable intervention in the Smoketown neighborhood will be spread across ALL rate payers across the full MSD service area – just as the other CSO basin’s costs will be. Accepting the negative impacts of these projects in just one neighborhood while other neighborhood’s basins get better solutions is the issue for which Smoketown wants redress. For the past 30 years I have walked and biked between home and work. Often it is on Logan. As the current project materialized I was looking forward to the completion of the project with its potential. Bringing a positive atmosphere into the neighborhood. I thank the strength of the Smoketown community to ensure that the project will be completed in a manner that will add to the livability of the community. While it is totally understandable that a community that has been long marginalized would react with anger towards the level of involvement they’ve had in the development of this project. I’m wondering if an-at grade solution is actually what they want. I understand that a redesigned building seems like lipstick on a pig at this point for some in the community but I do wonder though what this new “green space” truly offers. That block of Logan is almost entirely industrial, and has been for decades. It seems totally in character with the neighborhood to have a large building on that lot. The design DeLeon and Primer arrived at seems completely reasonable and offers a public space that is more sensible given the size of the community we’re talking about. A park/public space the size of that entire lot seems like it would be vastly under-utilized for $4 million dollars. Believe me, the initial design put forth was an atrocity, and the communication to the community was sloppy at best. However, the end result can be something that is actually in line with the neighborhood history, positive for development and keep the city in line with the EPA consent decree. A certain amount of community anger is necessary to incite change, but simply because the initial roll-out was poor and other neighborhoods are getting at-grade solutions doesn’t mean that these revised ideas are bad, or at-grade solutions are actually the right thing to do.